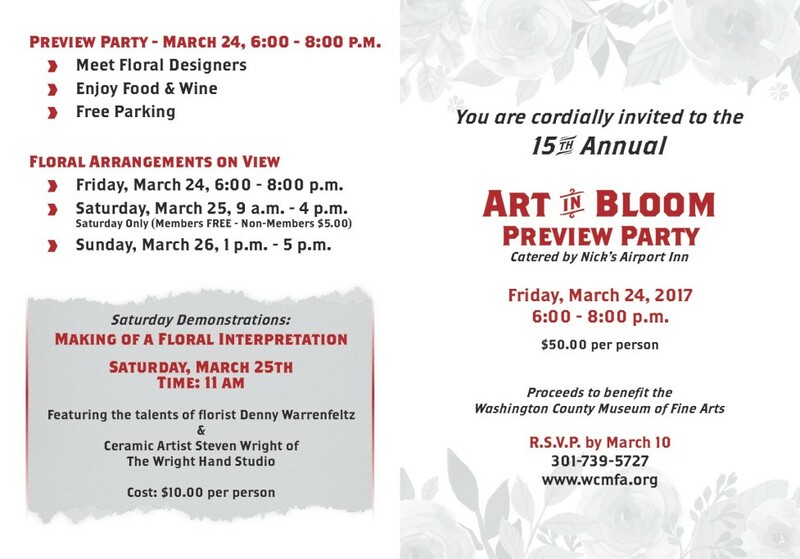 Please join us for a special reception and preview party to view striking floral creations inspired by the Museum’s stunning art collection. Meet the floral designers. RSVP by March 10th; 15th year.